King Felipe VI offers support for Argentine government's economic programme, after a less than stellar arrival at Jorge Newbury airport. 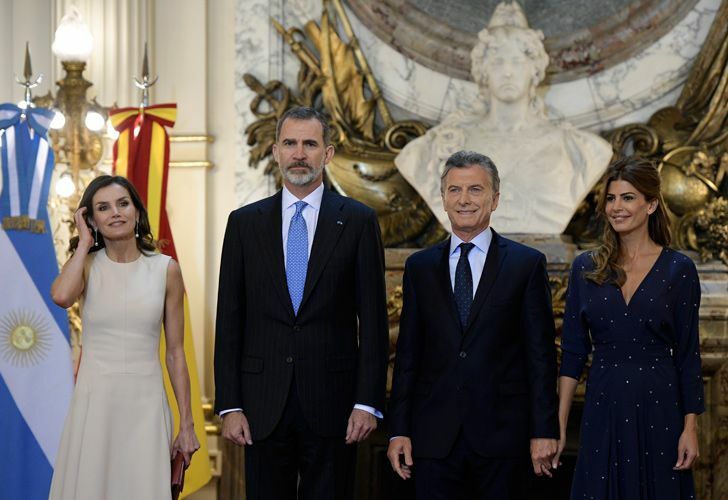 King Felipe VI and Queen Letizia of Spain met Monday with President Mauricio Macri and First Lady Juliana Awada at the Casa Rosada this morning, as the royal duo made a state visit to Argentina. The monarchs are visiting the country to inaugurate the eighth International Congress of Spanish Language, which takes place in Córdoba from March 27 to 30. It will be the second time that Argentina has hosted the Congress, following an event in Rosario in 2004. Addressing journalists at a brief photo-call and press conference at the Salón Blanco, Macri welcomed the King and Queen to Buenos Aires after offering them a military guard with honours. It is the first time the duo have visited Argentina as monarchs. "We take this visit as a sign of affection and support for this moment of change that we Argentines are undertaking," the president declared, with the monarch replying in kind. "We are very aware of the situation they [Argentines] have gone through in economic terms and we support all the reform programmes that are underway," said King Felipe, referencing that it was only two years ago that the Argentine leader visited Spain. 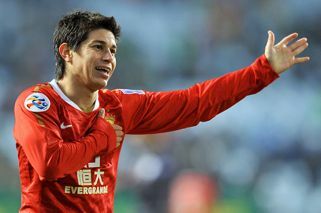 A return visit, so quickly, was unusual, Felipe added. "We expect days of intense work, to deepen relations between both countries," added President Macri. Felipe said the visit would have "an intense economic and cultural agenda, but above all, it aims to promote a relationship that we qualify as strategic." Prior to their arrival to Government House, the monarchs had visited Plaza General San Martín to pay homage to and lay flowers at the monument to General José de San Martín. They were accompanied by City Mayor Horacio Rodriguez Larreta and Foreign Minister Jorge Faurie. The royal couple arrived in Buenos Aires late Sunday night. However, their arrival didn't quite go as planned. They faced an unforeseen delay and were forced to wait on the tarmac of Jorge Newberry airport for almost an hour, after aviation officials were unable to locate a portable staircase tall enough to reach the doors of the Spanish military plane. Eventually one was located and the royal party were able to disembark. Argentine government officials will hope the rest of their trip runs smoothly, given the fact the Spanish visitors have a packed schedule. After lunching with Macri today at the Olivos presidential residence, the monarchs will visit Congress – where they will be received by the presidents of both legislative chambers – and the Supreme Court, before ending the day with a gala dinner tonight at the Kirchner Cultural Centre (CCK). Several other activities are scheduled for the monarchs, before they head north – accompanied by President Macri – to open the congress in Córdoba.